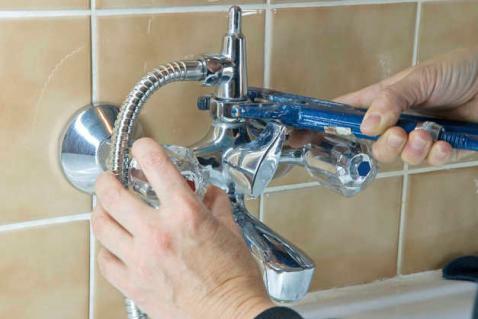 Faucet repair: You may need to replace a seal or washer to stop a leaky shower. Luckily, this is an inexpensive repair that can be done quickly and cheaply. Cracked shower enclosure: This repair can be more extensive and is common in older homes. If the shower enclosure is cracked or tile has come loose, it needs to be replaced or repaired soon. The longer you wait the more likely it is that water will seep into the drywall and studs causing major water restoration. Drain repair: A clogged shower drain can cause standing water and flooding. Although it can be rather alarming to see water flowing over into your bathroom, this is a relatively easy fix. All you need is hydro jet drain cleaning to clear the clog. Call Your Local Rancho Santa Margarita Plumber Today! Don’t wait to call for shower leak repair in Rancho Santa Margarita. It’s important to get to the source of the problem as quickly as possible. At Quick Step Plumbing & Drain Service, we offer emergency shower repair and other drain and rooter service. Call today to schedule a free estimate with a licensed, bonded, and insured plumber near you. Do you have a leaky shower drain? Many people don’t pay enough attention to defective shower or bathtub parts. Usually, it’s because they figure the part is in an area that isn’t affected by water. This couldn’t be further from the truth. Homeowners who ignore broken shower drains and put off calling for shower drain repair in Rancho Santa Margarita, CA, are risking water damage and other plumbing failure. Loose drain: When you’re in the shower, can you move the drain with your foot? If the answer is yes, this is a problem. 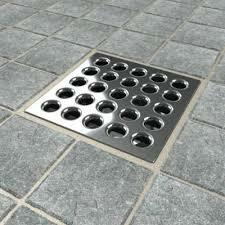 Over time, the drain may come loose or break if something heavy falls on it. Fix the drain as soon as possible. Standing water: Obviously, a drain is meant to keep water from standing in the bottom of the shower. If the water is draining slowly or not at all, check to see if there is something stuck in one of the drain holes. Sometimes shampoo caps or other items can become lodged in the drain cover. If this isn’t the case, you may have a clog that needs to be cleared. Water stains on ceilings: A water stain on the ceiling right below your shower or bath is a good indication that you need shower leak repair. Don’t let this situation get out of hand. Water stains mean that the leak has gotten into the flooring and drywall, weakening the structure. Call a Licensed Plumber Today! 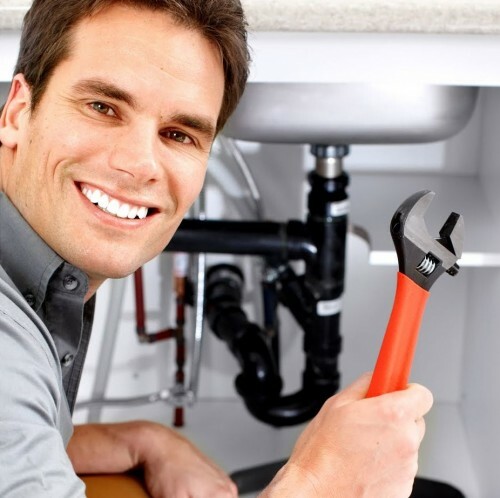 Get your plumbing problems take care of fast by calling a Rancho Santa Margarita plumber today. Whether you need drain cleaning, drain replacement or other shower drain repair services, we’ve have solutions that are guaranteed to be fast and affordable. Call us today! A plugged toilet can really cause expensive problems for business owners and discomfort for the employees unable to use the restroom while they are at work. In fact, several of the stalls in your Rancho Santa Margarita employee bathroom are out of order and the staff is threatening to walk out. It’s obvious you’re going to have to pay for a serious drain cleaning. The thought of hiring a plumber makes you queasy and you don’t know where the money is going to come from. Other than posting signs in the bathrooms, you can’t know what is happening in your restroom at all times. Call Quick Step Plumbing & Drain Service services to come out and get your toilets flushing again. We feature reasonable rates and 24-hour service, so your hours of operation will not matter. Just give them a call, day or night for the assistance you need. You should have your plumbing needs met by a company that has been providing quality service to Rancho Santa Margarita commercial and residential properties for years. A thriving business needs to make sure all areas are running efficiently. That can’t be done if your staff has to drive to the gas station down the block when they have to use the facilities. No one can run a business if they can’t provide their staff with a place to relieve themselves during business hours. A little preventative maintenance and plumbing can keep your employees from walking out on you. Let Quick Step Plumbing & Drain Service perform annual preventative checks on your plumbing to make sure you won’t have high-dollar unexpected expenses in the future. Taking care of your pipes all year round will prevent you from shelling out tons of money later. Talk to an expert! We are ready to assist you. Call Quick Step Plumbing & Drain Service in Rancho Santa Margarita for your commercial plumbing needs and an appointment now.